Saunders & Lingard - News- Haute Couture Selling Tips For The Property Fashionistas ! Haute Couture Selling Tips For The Property Fashionistas ! With London Fashion Week just around the corner, we got to thinking....just how is the en vogue way to make your home irresistible to buyers? Here are just a few `tailor` made hints and tips a la property mode for you! Analysis has shown that nearly a quarter of a million more people work from home than 10 years ago and that there are 2 million freelancers in the UK – 1.77 million of whom work freelance on a full-time basis. So, if you do have an area in your home that could be used as a work area, or if you are lucky enough to already have a home office, make sure your property mirrors this homeworking boom. Simply ensure this space is clean and at the same time show how it can be utilised with neat filing, precisely placed pens and computers, and jazz up with a photo in a frame and a vase of flowers on your desk. 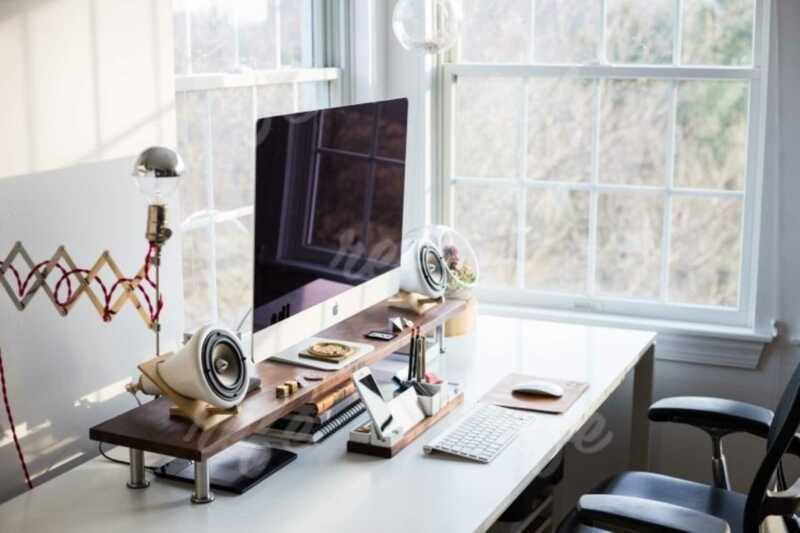 Remember working from home is hip, it`s trendy and it could get you more offers! Soooooo....make the best of what garden space you have! Us Brits hate to admit it, but we live in a beautiful part of the world, especially in South Devon...by jove how lucky are we?!! If you have a garden, make sure it is somewhere that everybody would like to spend time enjoying. Grab a friend and ask them honestly "How do you think my outdoor space looks to you? ", take on board what they say and set to work. No matter what the season, there are always plants you can place in joyful pots, there is always work to do on your lawn (in fact now is the ideal time for getting `lawn ready` for spring) and there are always details of thought that you can display. Many of us love knick knacks, but we implore you to Knick-Knack Paddywhack give those dogs another home! Make your home as minimalistic as possible, this will give the feeling of space and calm. But at the same time dress your living space with style and panache, a draped throw here, a tasteful cushion plumped there and ensure your cupboards are tidy within also and encourage the viewer to look inside them. The first impression on seeing a property is so important. If you are considering selling or currently on the market seriously consider these tips carefully. Walk along your street and see how the front of your home compares with you neighbours, remove rubbish that may have blown into your garden. It`s all in the presentation darlings!